British Virgin Islanders living in New York are organising a high-profile fashion show and silent auction in the US city to rally more funds for the territory. 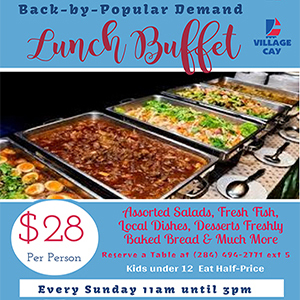 The event which is scheduled for November 9 is a collaborative effort between Summer Sizzle BVI and the BVI Friends and Family organization. “When the hurricane hit a lot of us were feeling helpless… we just really wanted to come together to try to support whatever because every little bit counts and we all have family back home in the BVI. So we want to be able to give back to the community,” said Executive Producer of Summer Sizzle, Terry Donovan. Donovan, who is a British Virgin Island citizen living in New York, said the BVI Friends and Family organization felt the need to do more though it already donated a container of relief supplies to the territory. “Our goal is to try to raise as much as we can,” he said. Meanwhile, the fashion show is expected to feature a number of renowned designers such as Tracy Reese, Zang Toi, Yumi Katsura, Cesar Galindo, Edwing D’Angelo, Aqua Couture by Roger Gary, and Andrew Harris. The event will also include what Donovan describe as an international pop-up food bazaar. It is slated to take place at the Yumi Katsura Showroom on 226 West 37th Street in New York. Organisers said persons can purchase tickets for the event here.